Introduction: Ice Climbers have two hammers--sticks with big wooden blocks that induce a lot of stun and have dangerous shield-decimating potential. Yet nobody ever seems to discuss the shield pressure options that are available to them. This might be due to the fact that people are hesitant to shield against Ice Climbers in the first place (deadly grab, etc. ), and when they do it's usually because you're about to hit them. When that happens, it might be useful to have an idea of how safe your moves are on shield and what they can lead into. Some of the following may be practical--a lot of it probably isn't--but I hope people at least find it interesting. Notation: Most of it should be self-explanatory. The number on the left is a frame count of Popo's current action. Blue actions represent Popo, pink actions represent Nana. All hitlag and shield stun will be highlighted in green. When Popo and Nana are synched, Nana mimics Popo 6 frames afterward, so I will only show her shieldstun (unless they're desynched). Notes: This assumes you input b-air and fastfall on the first possible frames. While b-air's hitbox comes out on frame 8, it doesn't seem to hit behind you until frame 11. The window between b-air and d-smash could potentially be two frames smaller depending on how you time the b-air. This is your bread and butter; often your opponent will try to punish the b-air, and instead jump right into the d-smash. Notes: There are alternating windows of 6 frames and 7 frames between d-smashes. Although the d-smashes are relatively punishable, the ratio of out-of-stun to in-stun is small, so your opponent might struggle timing anything properly. There will always be 13 dead frames total, but you can alter the size of each window to make it more difficult for your opponent to escape. These are easy to perform, and can wear a shield down quickly. Notes: This may or may not be humanly possible. It’s kind of like multishining, but likely much harder to learn because the inputs are so specific. This would be our most realistic shield break if we could master it. 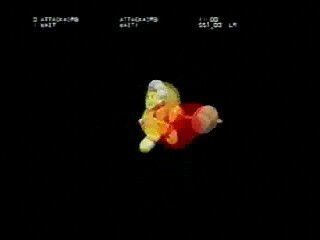 Notes: If you input l-cancel slightly before hitting the ground, Nana will not l-cancel, leaving her with 10 additional frames of landing lag. F-air can be used in place of b-air; it's functionally the same except that it has 2 less frames of shield stun. F-air is probably easier to time though, because if you sh f-air and fastfall on the first possible frame, the hitbox will come out on frame 20 or 21 of your jump anyway. From the l-cancel desynch, you have several options. In this example, you can go straight into desynched d-smashes with only 2 dead frames between the b-air and the first d-smash. Alternatively, you can u-tilt with Popo (assuming you're close enough for it to land), which comes out 2 frames slower than d-smash, but has 40 frames of hitlag/stun and gives Nana plenty of time to do anything. if they sheild a de-synced blizzard your doing something wrong by not grabing that should be a solid set-up unless they light sheild and are luigi or something. also another important topic for sheild pressure would be to bait it however because the ice climbers don't really approach so they really woudn't need to sheild we mostly punish mistakes. however maybe de-synced ice block to WD bair may work. also looking at this data what if we autocancel bair into a jab couch and grab? looking at the frame data here that would would amazingly seeing how jab would be your fastest option. also you can autocancel upair maybe you should look into that it would also punish them if they try to nair out of sheild or grab. and set-up more upairs or a grab. also i'm thinking this would have to be on people like gannon falcon it just seems fitting. I'm gonna add jab later. There's something like 9 frames in between jab cancel grab, 6 in between consecutive jab cancels, and 5 in between jab -> backswing (second jab). Besides being really aggressive and convincing them to shield more, you can try look for their shielding habits. Some people will shield after they whiff a move, after they get up from a tech, etc. Obviously there are situations when you just want to go for the grab, but sometimes you might be in a position where it's better to b-air/f-air. I can't really think of many off the top of my head, but I know I end up using b-air -> d-smash in a lot of matches. how well does it work? I know it works amazingly because it's down-smash but yeah how do they react? d*** down-smash does EVERYTHING now even sheild pressure I love you for using down-smash more for fun reasons. U-tilt basically consists of a bunch of small hits (3 hitlag, 2 shield stun) and then one final hit (5 hitlag, 5 shield stun). At first I noticed that desynched u-tilt could easily keep somebody in their shield indefinitely, but as it turns out, the final hit pushes them too far away for this to work. U-tilt still has plenty of hitlag and shieldstun, however, and you can actually fit in a wavedash (or run and crouch) and still never let them out of stun. To see that it works, count 40 frames (hitlag/stun) from where Nana's u-tilt starts, then 10 frames of cooldown lag, 4 for jump, and 10 more for wavedash. It links back to her starting frame, and there is actually some extra leeway (their stun frames overlap). Edit -- This idea has some major flaws, depending on what version of the game you're playing. In 1.0/1.1, after your first (fresh) u-tilt, every hit of u-tilt does less than 1% (except the very last hit). This is normally a good thing, because it means your opponent can't sdi out of it, but for shield pressure it's not so good; the small hits will deal no shield stun and only one frame of hitlag, making it very easy to buffer roll escape. In 1.2+, moves that deal less than 1% do not have this property, so each small hit does 3 hitlag and 2 hitstun, and what I posted above will work. However, since your opponent is constantly being put in hitlag, they can easily shield di out by holding away, so continuous u-tilts are probably not practical. Turning around and grabbing after the bairs would only be a few frames slower, yes? Would auto-cancelled bair -> grab be a legitimate mixup? Turnaround grab would be 2 frames slower, and would only work if the other player sits in their shield. It might be worth doing once they realize that you keep hitting them with d-smash, and start waiting for it (people have done this to me, albeit rarely). In my experience, though, d-smash is the better option, because people will usually react to the first move that hits their shield. I would think jab to grab would work more stun harder to escape. also maybe you should look into SHing down-B on their sheild that should do a lot of sheild stun and it's one of the rare cases of down-B hitting and not automaticly going for a grab. also if SH down-B works ice climbers will moe up one spot on the tier list for that sheild pressure that or take like 20%, totally **** space control, near impossible to outrange/beat and an air approach as them if you can find some kind of sheild pressure follow up. use that's what I thought if it did have enough sheild stun to pressure with sh down-B would **** everything and you really couldn't do much about it. you just lost a lot of space to work with and are more trapped than before. Kyu you know I like stuff like this. I'm with you all the way and I will help/give imput when I can. Be sure (in order to keep a thread like this organized) to put all of your useful posts into the OP, like the Utilt thing. Copy paste that up in there so it's all collected. The u-tilt thing unfortunately seems like it would be too escapable. According to Magus, in 1.0/1.1, it only has hitlag and shield stun when it is completely fresh; if you whiff a single hitbox of the u-tilt, it stales to less than 1% and the other player can simply roll away. So it might work in 1.2+ (where moves that do less than 1% still have hitlag and shield stun), but it doesn't seem practical because of how far the other player can move with shield di. If they were at the edge, what could they do? It's possible that it could work against a ledge or a wall (then the only thing you have to watch for is shield stab), but next to a ledge, Nana u-tilt -> grab would probably be better unless you just want to do something really flashy. shield DI away and slide off and grab the edge? I want to look into ice blocks (synched/desynched) on shield. I know that at certain angles, they will bounce on the top of someone's shield up to three (four?) times before they disappear, keeping them in shield stun the entire time. There should be some way to abuse this, but there isn't really enough information to make an accurate chart -- I don't know if you can hit with the hammer part and still produce a bouncing ice block, how many frames are in between each bounce, or how long sh ice block keeps you in the air. It would make for an interesting action replay project though. hmm any idea about how well f-tilt works?f-tilt does a lot of damage and i'm pretty sure they can de-synce from spaming f-tilt. Desynched f-tilts have alternating windows of 5 and 6 dead frames (the same as synched jabs, but probably a little better because they deal more shield damage). Personally, the best way for me to shield pressure is to advance towards the enemy with wd ice blocks, and once near them have nana use blizzard while popo wd's and jabs until the blizzard is over then, while popo is finishing up the jabbing, nana wd's and grabs. Works for me and hope this helped. A bouncing ice-block causes 5 frames of shield stun. There are 18 frames between each shield hit. Thanks! Is 18 counting from the first frame it hits, or the frame after? The desynched d-smashes sounds most viable to me. Wavedash towards the opponent, predict they'll shield your incoming d-smash. Instead, quickly dash forward, pivot the opposite direction of your wavedash, and your d-smashed is desynched with back-to-back hits. If you know how to pivot effortlessly already, this will be easy to apply. Once I master this for in-combat application, I'll try to demonstrate this on video at some point. I would like to add the desynched b-airs to my game, but I don't know a fast desynch to achieve this. Any ideas? IC's shield pressure is basically catching their wd/jump oos and punishing holding shield + everything else with grab. Leffen has the right idea. Shield pressure is kind of odd, regardless of which way the opponent is facing. Since you're ICs, your opponent will probably be very grab-averse, so he won't be sitting in his shield often; if he does, just grab him. In most cases, though, it's safe to assume that if your opponent does shield, he won't for a very long time. That said, you'll typically want to figure out how your opponent is going to get out of his shield and punish that instead. Rolls, spot-dodges, and jumps are the standard ways your opponent will try to escape from his shield. The first two can be punished with the grabs and jumps can either be punished with uairs, although just leaving the opponent alone and waiting for a safer opportunity to land a hit is also fine in that case. However, there are still times when it's good to briefly wail on the opponent's shield. For example, let's say your opponent shields a fair, but is too far to reach with a standing grab immediately afterwards. You could go far a dash-> JC grab, but that's actually pretty slow and probably won't work. You could also simply wait for the opponent's response and punish on reaction, but this can be risky, as characters with good OoS options might be able to hit you pretty quickly, or the opponent could just jump away. A really good option in this case is to jab after the fair; if the opponent spot-dodges, you can hit him afterwards with the second jab, ftilt, or dtilt. If he rolls towards you, you can turn around and grab; if he rolls away, you can chase after him with something like wavedash -> ftilt, or you can just not directly punish him and reposition yourself accordingly. If he does keep shielding, which is the one case where the aforementioned dash grab is a pretty good idea, then the jab hits his shield and he is in an awkward position; if his shield is weak, you might be able to poke him with a dtilt or angled down ftilt. He probably won't continue shielding this long, though; he's already been in his shield a while and the most standard jab follow-up for ICs is grab, so chances are he's going to do something like roll or spot-dodge, both of which are easy to wait for. That said, you could also follow up the jab with repeated jab-cancels, a la Samus. ICs players tend not to do this pretty often, since our grab is a much stronger mix-up than anything that a character like Samus has in this situation, but it's still reasonably safe provided it's spaced well and it demands precision on the opponent's behalf to safely get away. Another big time when you might want to continue pressuring a shield after hitting it is when you perform an aerial into a shield against a character with a pretty good, fast OoS attack. If you're potentially vulnerable to this attack, it's often a good idea to try to throw out a jab as quickly as possible; jab comes out a little faster than anything else that ICs can do on the ground does and hence is more likely to beat the OoS attack. If trying something like this sounds a little crazy, it's worth keeping in mind that since Nana acts six frames later than Popo and since the opponent needs to worry about her aerial as well, ICs will actually have frame advantage more often than you might think. If the opponent does get in the habit of shield the jab and then punishing, you can feel free to go for the immediate grab after the aerial instead. If you only have Popo, the threat of a grab against a lot of characters is significantly diminished. You also don't have the additional pressure of slightly delayed Nana attacks; hence, Popo's ability to pressure a shield is significantly less than that of two ICs. Sopo shield pressure still works very much like pressure with two ICs, but it's a little weaker and you shouldn't expect to have many opportunities to hammer on a shield in the first place. If you do get a shot, you should still be fishing for a grab a lot of the time, though. Popo's grab game is still very good, although not quite as great as the Inuit pair's tricks. These don't affect the dead frame/shield stun calculations, but they do affect the specific timings of each move, so I'll make corrections as soon as I have time. I'm also planning to add some more practical applications, and possibly Ice Blocks for fun. I think it should be noted, as leffen said, what makes ICs terrifying on shields is that they can lock a person in shieldstun long enough to get a grab. Because of this I'm a big fan of things like solo-fair/AC bair->nana dsmash->popo grab. The dsmash catches jump OoS incredibly well. Spaced fair->jab is also safe on shield.